The board has a nice shape template with flowing rail lines for smooth glide in flat water paddling. It features a flatter deck and medium rails, with a little extra width in the nose and tail for stability. A single into slight double concave to vee out the tail allowing for smooth rail to rail transitions and maintaining speed whilst surfing. 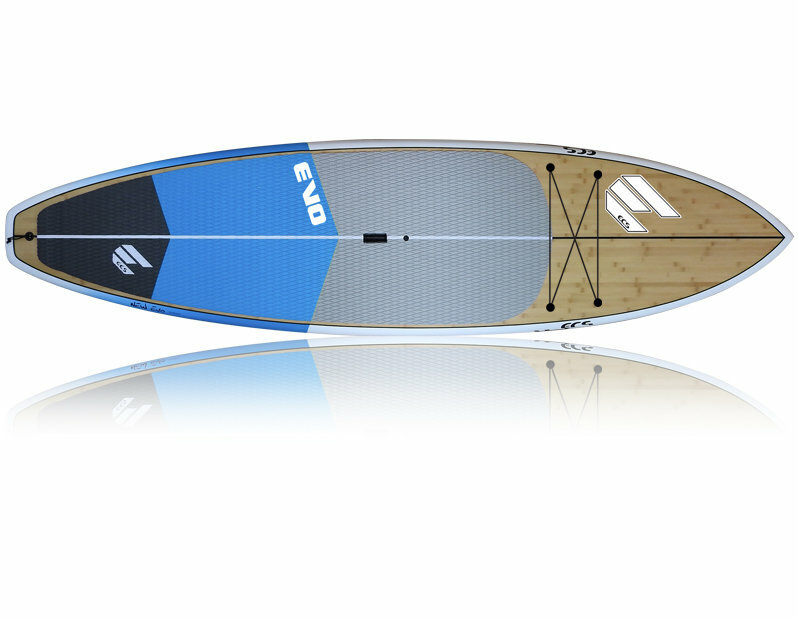 This hybrid with short board styling is it at home in both flat water and surf.